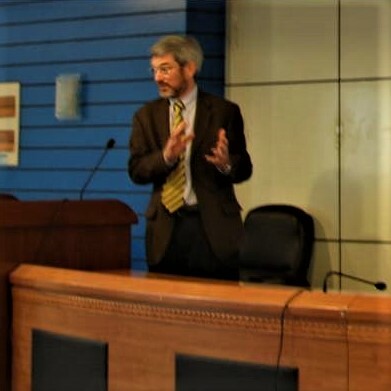 A month or so ago I gave a lecture entitled ‘Establishing FACTS (Fidelity And Credibility in Tests & Simulations)’ to the local branch of the Institution of Engineering Technology (IET). Of course my title was a play on words because the Oxford English Dictionary defines a ‘fact’ as ‘a thing that is known or proved to be true’ or ‘information used as evidence or as part of report’. One of my current research interests is how we establish predictions from simulations as evidence that can be used reliably in decision-making. This is important because simulations based on computational models have become ubiquitous in engineering for, amongst other things, design optimisation and evaluation of structural integrity. These models need to possess the appropriate level of fidelity and to be credible in the eyes of decision-makers, not just their creators. Model credibility is usually provided through validation processes using a small number of physical tests that must yield a large quantity of reliable and relevant data [see ‘Getting smarter‘ on June 21st, 2017]. Reliable and relevant data means making measurements with low levels of uncertainty under real-world conditions which is usually challenging. These topics recur through much of my research and have found applications in aerospace engineering, nuclear engineering and biology. My lecture to the IET gave an overview of these ideas using applications from each of these fields, some of which I have described in past posts. So, I have now created a new page on this blog with a catalogue of these past posts on the theme of ‘FACTS‘. Feel free to have a browse! 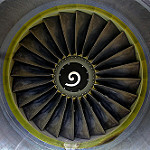 This entry was posted in design, Engineering, FACTS, mechanics, MyResearch, structures, uncertainty and tagged aerospace, biomedical engineering, computational biology, credibility, design, Engineering, experimental mechanics, IET, mechanics, MyResearch, nuclear energy, research, simulation, uncertainty, validation on July 25, 2018 by Eann Patterson. The Southwest airplane accident last week has been initially attributed to a fatigue crack in a fan blade in the engine. One of the reasons that this an extremely rare event is the enormous research effort that has been expended on the design, testing and maintenance of the engines and the airframe. It’s an ongoing research effort to address the trilemma of aircraft that are safe, sustainable and low cost to build and operate. In collaboration with Strain Solutions Limited, we are in the last year of a three-year project called INSTRUCTIVE which is funded by the Clean Sky 2 programme of the European Commission [see ‘Instructive report and Brexit‘ on March 29th, 2017]. The focus of the research is the development of techniques for use in the aerospace industry to detect the initiation of cracks in the airframe before the crack is visible to the naked eye [see ‘Instructive update‘ on October 4th, 2017]. Laboratory-based techniques exist with this capability and the objective is to transfer the technology to the industrial scale and environment – initially in structural tests performed as part of the design and certification process and perhaps later as part of inspections of aircraft in service. So far, we have moved from the small components reported in the update posted in October, to a chunk of aircraft fuselage in our lab and we are preparing to participate in a test being conducted by Airbus later this year. We are also planning a knowledge exchange workshop on ‘Real-time damage tracking in engineering structures’ on November 21st, 2018 at the University of Liverpool’s London campus. The one-day workshop is being organised in collaboration with the British Society for Strain Measurement. More details to follow – it will be free! This entry was posted in FACTS, INSTRUCTIVE project, MyResearch, structures and tagged aerospace, design, Engineering, experimental mechanics, mechanics, MyResearch, research on April 25, 2018 by Eann Patterson. In the 1979 Glenn Harris proposed an analytical hierarchy of models for estimating tactical force effectiveness for the US Army which was represented as a pyramid with four layers with a theatre/campaign simulation at the apex supported by mission level simulations below which was engagement model and engineering models of assets/equipment at the base. The idea was adopted by the aerospace industry [see the graphic on the left] who place the complete aircraft on the apex supported by systems, sub-systems and components beneath in increasing numbers with the pyramid divided vertically in half to represent physical tests on one side and simulations on the other. This represents the need to validate predictions from computational models with measurements in the real-world [see post on ‘Model validation‘ on September 18th, 2012]. These diagrams are schematic representations used by engineers to plan and organise the extensive programmes of modelling and physical testing undertaken during the design of new aircraft [see post on ‘Models as fables‘ on March 16th, 2016]. The objective of the MOTIVATE research project is to reduce quantity and increase the quality of the physical tests so that pyramid becomes lop-sided, i.e. the triangle representing the experiments and tests is a much thinner slice than the one representing the modelling and simulations [see post on ‘Brave New World‘ on January 10th, 2018]. At the same time, I am working with colleagues in toxicology on approaches to establishing credibility in predictive models for chemical risk assessment. I have constructed an equivalent pyramid to represent the system hierarchy which is shown on the right in the graphic. The challenge is the lack of measurement data in the top left of the pyramid, for both moral and legal reasons, which means that there is very limited real-world data available to confirm the predictions from computational models represented on the right of the pyramid. In other words, my colleagues in toxicology, and computational biology in general, are where my collaborators in the aerospace industry would like to be while my collaborators in the aerospace want to be where the computational biologists find themselves already. The challenge is that in both cases a paradigm shift is required from objectivism toward relativism; since, in the absence of comprehensive real-world measurement data, validation or confirmation of predictions becomes a social process involving judgement about where the predictions lie on a continuum of usefulness. Harris GL, Computer models, laboratory simulators, and test ranges: meeting the challenge of estimating tactical force effectiveness in the 1980’s, US Army Command and General Staff College, May 1979. Trevisani DA & Sisti AF, Air Force hierarchy of models: a look inside the great pyramid, Proc. SPIE 4026, Enabling Technology for Simulation Science IV, 23 June 2000. Patterson EA & Whelan MP, A framework to establish credibility of computational models in biology, Progress in Biophysics and Molecular Biology, 129:13-19, 2017. This entry was posted in Engineering, FACTS, mechanics, MOTIVATE project, MyResearch, structures and tagged aerospace, computational biology, computational modelling, design, Engineering, experimental mechanics, hierarchical models, mechanics, MyResearch, objectivism, paradigm shifts, predictive toxicology, relativism, research, simulation, toxicology on March 14, 2018 by Eann Patterson. Eighteen months ago I wrote about an insight on high-speed photography that Clive Siviour shared during his 2016 JSA Young Investigator Lecture [see my post entitled ‘Popping balloons‘ on June 15th, 2016]. Clive is interested in high-speed photography because he studies the properties of materials when they are subject to very high rates of deformation, in particular polymers used in mobile phones and cycle helmets – the design requirements for these two applications are very different. The polymer used in the case of your mobile phone needs to protect the electronics inside your phone by absorbing the kinetic energy when you drop the phone on a tiled floor and it needs to be able to do this repeatedly because you are unlikely to replace the case after each accidental drop. A cyclist’s helmet also needs to protect what is inside it but it only needs to do this once because you will replace your helmet after an accident. So, the kinetic energy resulting from an impact can be dissipated through the propagation of damage in the helmut; but in the phone case, it has to be absorbed temporarily as strain energy and then released, like in a spring. Of course there is at least an order of magnitude difference in the consequences associated with the design of a phone case and a cycle helmet. We can step up the consequences, at least another order of magnitude, by considering the impact performance of the polycarbonate used in the cockpit windows of airplanes. These need to able absorb the energy associated with impacts by birds, runway debris and other objects, as well as withstanding the cycles of pressurisation associated with take-off, cruising at altitude and landing. They can be replaced after an event but only once the plane as landed safely. Consequently, an in-depth understanding of the material behaviour under these different loading conditions is needed to produce a successful design. Of course, we also need a detailed knowledge of the loading conditions, which are influenced not just by the conditions and events during flight but also the way in which the window is attached to the rest of the airplane. 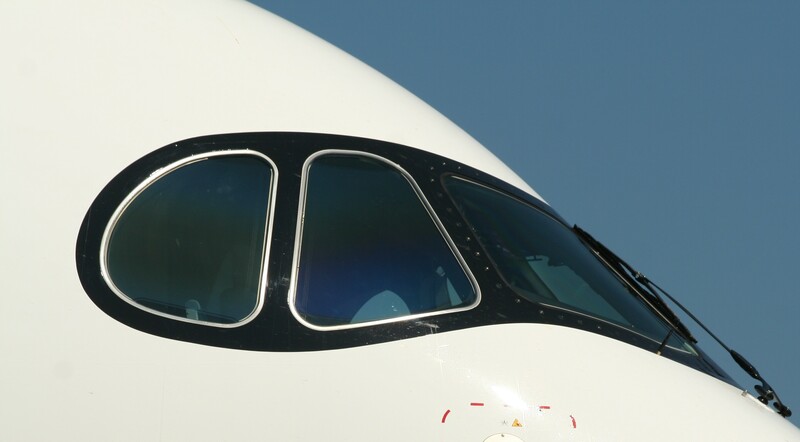 A large and diverse team is needed to ensure that all of this knowledge and understanding is effectively integrated in the design of the cockpit window. The team is likely to include experts in materials, damage mechanics, structural integrity, aerodynamic loading as well as manufacturing and finance, since the window has to be made and fitted into the aircraft at an acceptable cost. A similar team will be needed to design the mobile phone casing with the addition of product design and marketing expertise because it is a consumer product. In other words, engineering is team activity and engineers must be able to function as team members and leaders. I wrote this post shortly after Clive’s lecture but since then it is has languished in my drafts folder – in part because I thought it was too long and boring. However, my editor encourages me to write about engineering more often and so, I have dusted it off and shortened it (slightly!). This entry was posted in design, Engineering, mechanics, structures and tagged aerospace, cockpit windows, cycle helmets, damage mechanics, design, Engineering, experimental mechanics, innovation, kinetic energy, mechanics, mobile phones, science, strain, strain energy on February 28, 2018 by Eann Patterson.